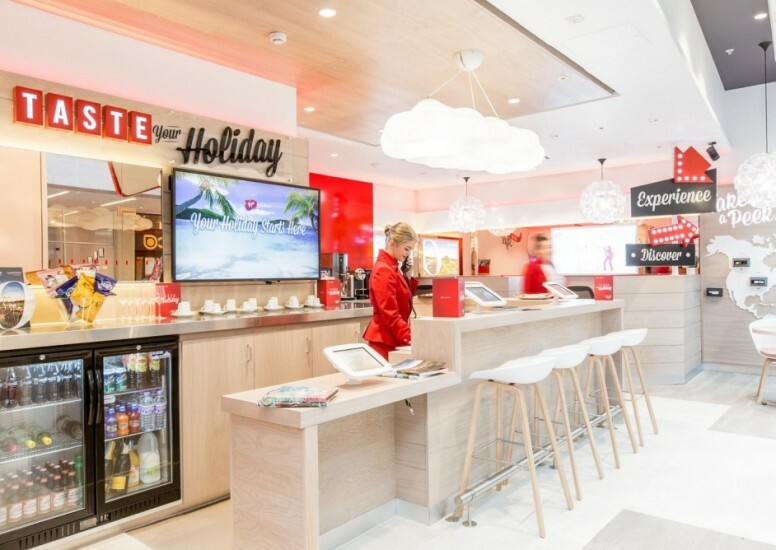 The Virgin holiday stores have come to the high street with a number of interactive experiences that help their customers visualise and imagine what holiday and what destination they want. Designed by YourStudio, a great retail concept has emerged that engages the customers and gives the staff a great toll in aiding great service and experience in store. There are no sales or till points in sight, instead replaced with an island bar and plenty of booths and lounge areas to allow the customers to get comfortable. There is even a taste bar that will soon offer food and drink relating to certain holiday destinations. 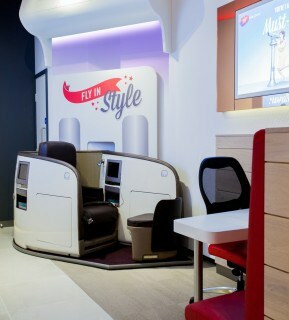 Based around the Virgin Atlantic brand, the staff are dressed in cabin crew uniforms and customers have the chance to try out different types of seating's at different branches including premium economy in Leeds and upper class in Bristol. They even get to have a glass of champagne while doing so! On the wall there's a map and interactive video wall to help customers build up a better picture of the destination. The roll out of these stores are already underway with stored open in Lakeside, Bluewater, Bristol and Leeds. 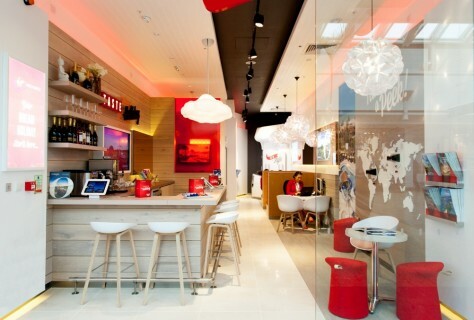 If you've got a holiday or just want to dream about exotic destinations, then pop into one of these stores and experience the Virgin Holiday.